Hydroton is a specific brand of expanded clay pebbles offered by Mother Earth a division of Sunlight Supply. 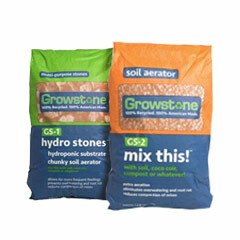 A lot of growers use the term “hydroton” as a generic term to refer to nearly any brand of expanded clay pebbles or pellets for growing. 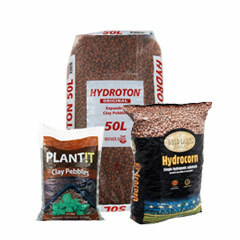 Be aware that if someone on an online grow forum or anywhere else recommends you use Hydroton they may be referring specifically to the Hydroton brand of clay pebbles or they may use the term loosely to describe this certain type of grow medium. Hydroton was one of the original brands of clay pebbles for growing and has remained a household name in the industry ever since.